Who cares about Selfies? It’s the #Otherie, stupid! People take Selfies, but armies and states in war rely on #Otheries: the one-dimensional focus on the Other, as a target, as an object of war. A note on Othering in the current Israeli military operation against Hamas in Gaza. “You want to try?” said the young man at a fair of Israeli and international weapon industries in Tel Aviv. What he was hinting at was a laptop-like device with a joystick and a small screen. Above us hung one of the company’s “drones,” unmanned planes, many of which are currently circling over the heads of Palestinians in Gaza, infesting the war-drained air with an omnipresent mosquito-like sound. “Sure,” I said. Experiencing is the best path towards understanding, I thought to myself. So I gave it a try, put my hand on that joystick and guided the simulated drone across what appeared to be agricultural fields. The small screen in front of me showed a neatly framed world of black and white, viewed from the same numbing top-down perspective pilots of war planes are trained to accept as reality. And of course, in the middle of the screen: a cross-hair. It is this perspective from far outside the reality on the ground, from above the sky, looking only through a one-dimensional frame with a cross-hair in the middle, which inspired me to introduce a new mechanism in our increasingly self-righteous world: not the #Selfie, but the #Otherie. It is the taken-for-granted way of looking at others – people, cultures, individuals – as if they only had one dimension, while bathing one’s own ego in the self-righteous world of the #Selfie. 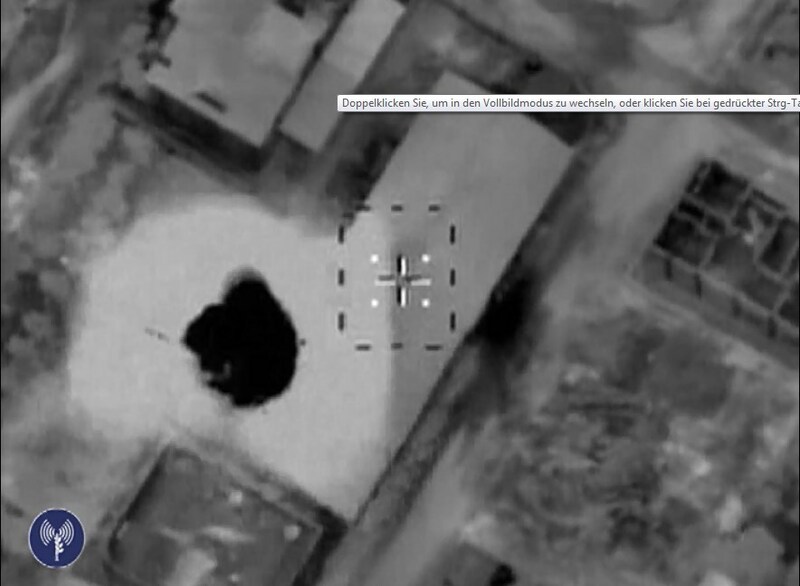 As a reporter, I have received innumerous aerial videos of Israeli bombardments of targets in the Gaza Strip. Featuring the same sort of black-and-white #Otherie of whatever is supposed to lie behind the cross-hairs, these images are also featured widely in the media. One gets used to look at the world from above, without colors or human voices, surrounded by a narrow frame that leaves no space for interpretation. TV-Channels in Israel show bombardments of Gaza almost exclusively through these military #Otheries, while the outgoing rockets are filmed from the hills around Gaza. Footage from within Gaza is only rarely seen. But at the same time, the Israeli TV-channels seem obsessed with #Selfies – endless features about soldiers standing around waiting outside Gaza, of families repairing property damage, of Israeli families running for shelter. Israelis from the town of Sderot were photographed watching the bombs being dropped over the dense and locked-in Gaza Strip, reportedly clapping after successful strikes. Technology has given the Otherie another dimension: the well-trained soldiers of contemporary high-tech armies have no more need to look their opponents in the face. Thanks to extreme power asymmetry – whether between the Israeli army and Palestinian militants, or between the Russian army and the Chechens – the perspective from above is more than enough, isn’t it? Drones and airplanes do the job. But in orde to safeguard the last traces of humanitarianism left, the Israeli army has even began “knocking” at houses in Gaza with mortars from above, as a way to warn people of their bombardment to follow. The way how the line between “us” and “them” has been cemented and exploited by governments, military campaigns, and populists of all kind is certainly not only an Israeli phenomenon. After all, this is also what nationalism is based on, when it shows, through education, socialization, or compulsory army service, that “we” are one collective and “they” are another. But I couldn’t help but realize that many Israelis have become particularly self-righteous with both, #Selfies and #Otheries. In times of war #Selfies and #Otheries mean that everyone who tries to be between, simply falls between two chairs. The extreme Othering makes people susceptible to accepting any image, and indeed any visual “fact,” that serves on a silver-plate what they already seem to know: Gaza is a place that always stands behind the cross-hairs; it is viewed from the sky and heard only with the sound of incoming rockets. But it has no voice. Welcome to the rise of the #Otherie. Social anthropologist and journalist with a focus on urban issues, displacement and mobility in the Middle East.